With a focus on arts and contemporary culture, Cinembargo Films has been filming in Cuba since 1991. We have completed a feature GREAT DAY IN HAVANA and are currently in production on the CARLOS VARELA DOCUMENTARY PROJECT. Known as the Bob Dylan of Cuba, Carlos Varela is a controversial figure in both Havana and Miami. 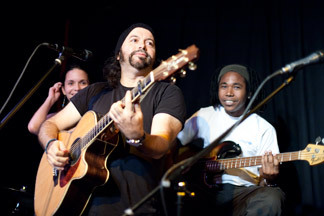 His songs are metaphors for the social and political realities of contemporary Cuba. Cinembargo Films recently followed Carlos on his first US Tour with his band, and have been filming him in both Cuba and the US since 1995.
their music, movies, dance, paintings, sculpture, poetry, and performance art. 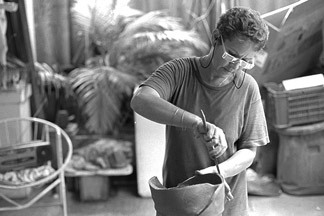 The film depicts the special relationship Cuba's artists have with their commumity . As revealed through their art, the commercial world of most countries does not exist in Havana.